The Xbox One X rises above the competition by offering a native 4K HDR output and other features which are suitable for some of our favorite gaming monitors. There are excellent HDR TVs on the market, but a computer display is much more suited for its lower latency manageable proportions for fast-paced titles such as Overwatch, and duality. Building a battle station composed of a PC and the Xbox One X is easier with a gaming monitor, plus choosing this route saves you money, energy, and space. Choosing a monitor for the Xbox One is easy as long as the product meets simple criteria for it to be practical. Users won’t need anything fancy unless they want to enjoy the full benefits of HDR or match the chosen display to a Nvidia or AMD GPU for proprietary Adaptive Sync solutions. 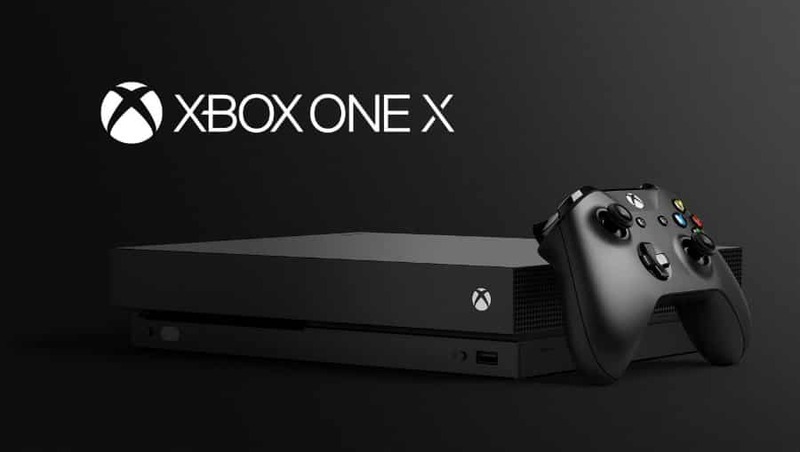 As long as your selected model includes an HDMI 2.0a slot which is HDCP 2.2 compatible, you can enjoy 4K HDR gaming and streaming on your Xbox One X. The LG 27UD68-P is one of our all-time favorites for its excellence in gaming, photo-editing, and watching movies. The IPS panel is amazingly vibrant with accurate color ensuring the images you see are lifelike and correctly saturated. The LG 27UD68-P is also one on of the better-looking options out there, sporting a bezel-free front and minimalist dimensions. 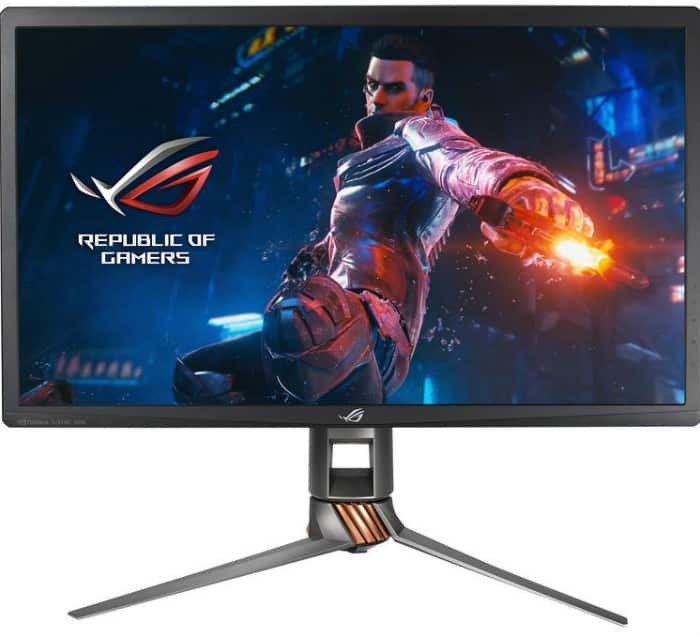 The Asus MG28UQ is a full-fledged gaming monitor with cutting edge specs such as FreeSync and a high-quality TN panel that almost bridges the gap between screen technologies. This option is capable of E-Sports level performance thanks to its seamless screen and low input lag average of only 10ms. The Asus MG28UQ also features one of the best build qualities and ergonomics we have seen in the industry, so ease of use and comfort are pretty much assured. The ViewSonic XG2700-4K offers a brilliant 10-bit IPS panel capable of supreme image reproduction enabled by a reliable factory calibration. This durable yet functional model can lower its input lag to 11ms via the Overdrive feature without sacrificing the output’s fidelity. FreeSync is also included in this value package if you want to use it for PC gaming, offering fantastic value as a single display for both gaming platforms. The BenQ PD3200U is the best option for professionals who want a reliable screen for CAD and graphics work and gaming on an Xbox One X on the side. This 32-inch features comprehensive and accurate gamut coverage plus multiple useful filters for different practices. This flexible and durable monitor isn’t for gaming, but it is an excellent candidate for its image clarity and low input lag of only 11ms. The Asus VP28UQG is one of the best-selling gaming monitors in the market today thanks to its affordability that doesn’t compromise on what matters most. The snappy TN panel is highly suitable for competitive games like Apex Legends or Fortnite which have intense firefights and sequences. It doesn’t have the viewing angles or vibrancy of IPS panels, but its fast pixel response time translates to better motion handling. 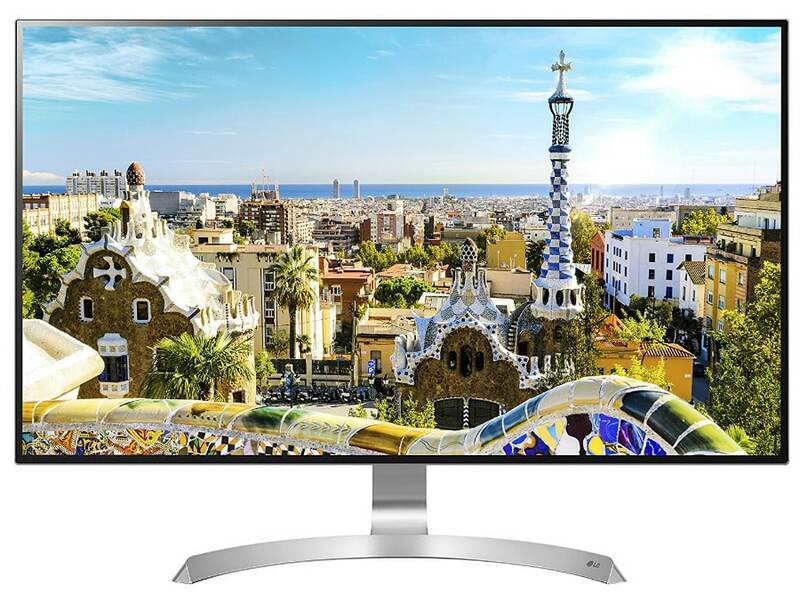 The LG 32UD59 is one of the cheapest 4K options available that provides a crisp and clear IPS panel with extensive gamut coverage and reasonable accuracy. The monitor is good enough for basic editing tasks, but it shines the most in entertainment use such as immersive gaming. You get a display that is almost comparable to TVs in size that will help you enjoy engrossing titles such as Farcry 5 or The Witcher 3. The Dell U3219Q is a sophisticated 4K monitor that offers excellent image quality for professional endeavors or UHD gaming. This sleek premium monitor comes equipped with advanced connectivity options such as USB-C which makes it a perfect choice for an all-in-one display. The high-quality IPS monitor and its factory calibration is tough to beat, making it a top choice for meticulous users who want the best for their editing-slash-gaming setups. HDR monitors are only beginning to scratch the surface of the market, but there are already available options which are suitable for the Xbox One X. These products are the best options to maximize the Xbox One X’s capabilities, but there will be some compromises, and it could cost you a lot of money. There is still a lot of consideration to choose this type of product over an HDR TV, such as lower latency and mixed-use functionality. The Dell UP2718Q is a true-blue HDR monitor thanks to its wide-gamut screen and FALD backlight technology which enhances compatible games, videos, and images. This high-end device meets every expectation right out of the box, plus its 20ms input lag rating makes it suitable for console gaming on the Xbox One X. As of the moment, the Dell UP2718Q is the only true HDR compatible monitor out in the market, making it the flagship choice for high-end gaming on the PC and Xbox One X. 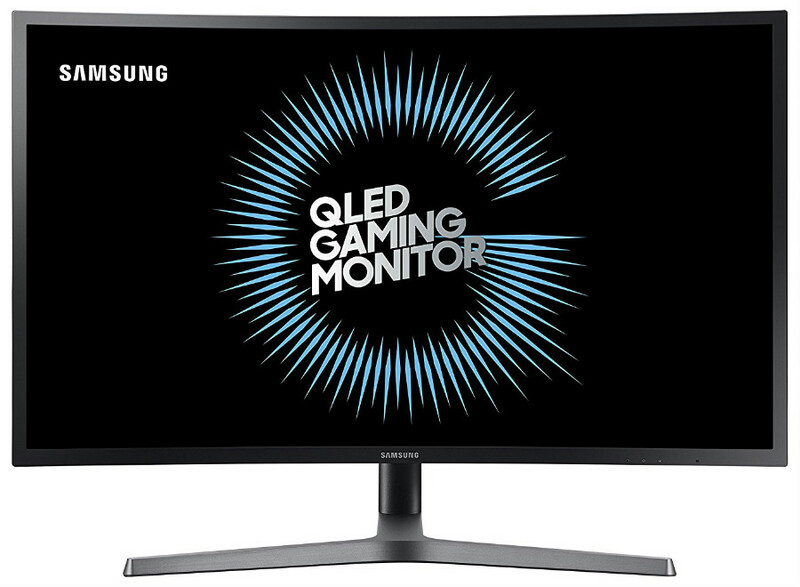 The Samsung C32HG70 is a curved gaming monitor with lightning-fast capabilities and a functional and exclusive HDR emulation courtesy of its specs. This Quantum Dot-equipped gaming monitor only comes in QHD, but the Xbox One X supports games at 2560 x 1440 readily so you won’t have issues. Choose this amazing gaming display if you want 144Hz and FreeSync for PC and HDR improvements for your console titles. The Dell U2718Q is a midrange version of the first option which also comes with HDR support but forgoes some crucial specs like FALD backlighting to make it more affordable. This model features ergonomics and capabilities designed to cater to everyday activities, but its 14ms response time also makes it suitable for gaming. If you want to test the water with HDR monitors, the Dell U2718Q is an excellent value-oriented option for your Xbox One X. The LG 32UD99 is one of the best professional solutions in the market, but its HDR emulation and fantastic responsiveness. The monitor’s superb IPS screen offers vibrant and accurate colors that are suitable for HDR representation. 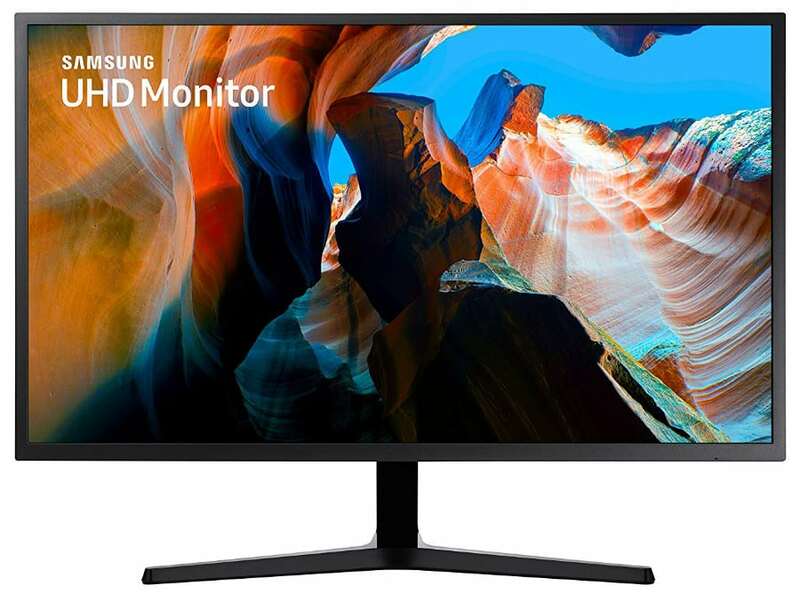 The monitor is well-designed, plus it includes USB-C connectivity which makes it a more versatile all-in-one display. The Philips 436M6VBPAB was designed from the ground up to be the best monitor for console gaming in 4K HDR. The screen’s massive gamut coverage and 1000cd/m2 peak brightness make it fantastic at displaying the added range and vibrancy of HDR compatible games. The TV-sized display is also equipped with the brand’s Momentum lighting which gives the display an aura that maximizes the visual effects. The Acer XV273K is the best and most practical option to get if you have an extreme PC and an Xbox One X. The screen’s 4K 144Hz IPS panel boasts impressive image quality and responsiveness which creates an amazing centerpiece for your beloved gaming setup. The monitor belongs to the FreeSync segment, but its also one of the certified to be G-Sync compatible in the market. 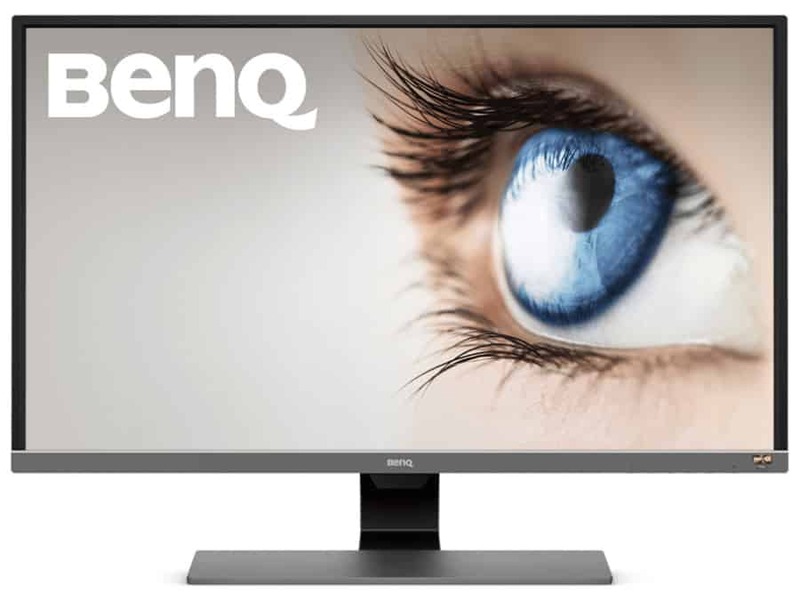 The BenQ EW3270U is a great option if you want a 4K monitor that sits in between entertainment and gaming use. The device’s VA panel offers excellent color and contrast levels which help to create the improvements presented by HDR visuals. The EW3270U’s HDR function is limited to emulation, but it’s a nice setting to have if you play a lot of HDR-compatible Xbox One X or PC games. 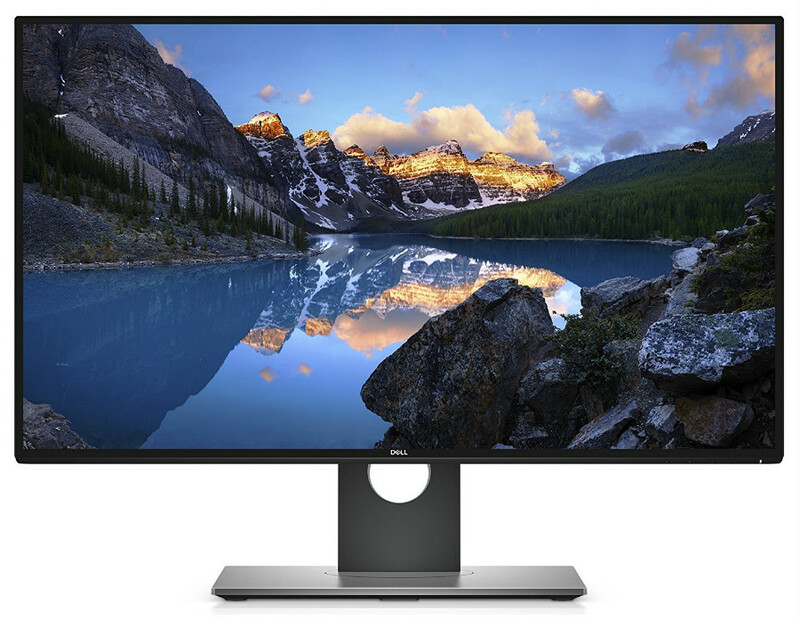 The Dell S2719DC is a beautifully designed InfinityEdge monitor that works well with USB-C MacBooks and gaming platforms like the Xbox One X. The IPS panel installed in this variant offers good image quality out of the box while its DisplayHDR 600 capabilities take care of the extra eye-candy. It’s one of the cheapest choices you can go with if you require a mixed-use monitor with fantastic clarity and HDR compatibility that’s suited for all types of use. The Asus PG27UQ is a G-Sync HDR display, but it’s one of the best representations of LCD HDR monitors without limitations. The 1000cd/m2 maximum output of its FALD unit works great with the DCI-P3 capable IPS panel for perfectly represented and accurate visuals. It’s also a 4K 144Hz monitor, so its a superb choice if you also have a mighty gaming PC alongside your Xbox One X.
Editor’s Note: Gaming monitors are an excellent choice for the Xbox One X because of their advantages against a regular TV. The lower input lag, manageable form factor, and versatility combine to create a product with cost effectiveness without sacrificing performance, so your console gaming sessions are secured. There is a multitude of choices amongst the regular 4K models, but if HDR compatibility is a priority, you will need to fork over a hefty premium. Hi, thank you for this list but too many options to wrap my head around. Not a tech lad so not sure what I want but wanting a 4K monitor for my Xbox One X between £300-£800 max, size doesn’t matter, lowest input lag, best picture possible, basically best value for money? Hi, Kris! The Philips 436M6VBPAB is one of the best you can buy at the moment since its the cheapest DisplayHDR 1000 monitor available. It’s great for couch gaming since it’s so big, plus it offers excellent visuals and low input lag. Let us know how you like it! Hi, thanks for the reply. What would the next best monitor be that’s smaller please, around 28” ??? Hi, Kris! The LG 32UD99 is a perfect fit, but its slightly over budget. 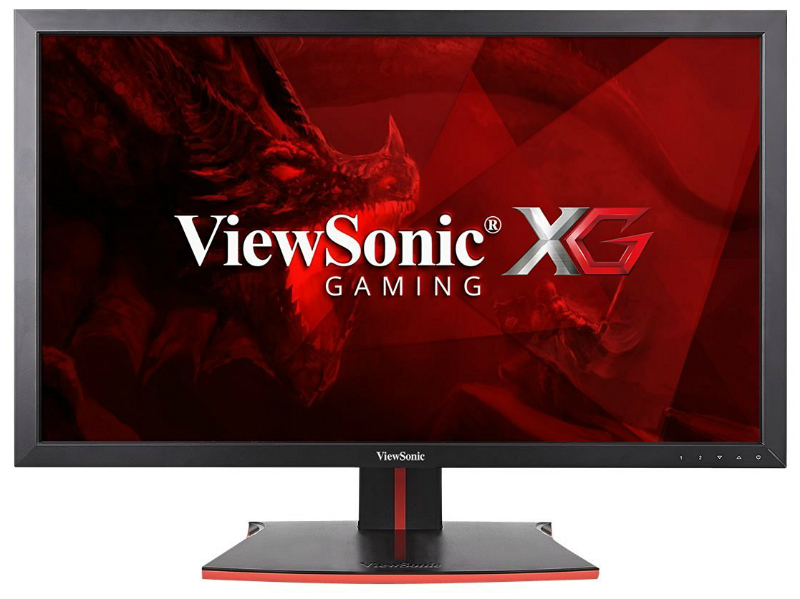 If that’s too expensive, check out the ViewSonic XG3220 which isn’t truly HDR capable, but is a great dedicated gaming display nonetheless. Cheers! First, thank you for being an amazing resource for display shoppers. There’s way too much jargon and misleading specs to sort through for the average Joe. I’m looking at buying the best display I can get for under $1300. It’ll be used primarily for playing my Xbox one x. I want a larger screen with 4k, hdr, and freesync to take advantage of everything the Xbox has to offer. I also don’t want to sacrifice too much performance. I’ve been torn between the Phillips momentum and a Samsung 55 inch 2018 q8. I don’t really need to have 43-55 inches, but I do want something a little bigger than the standard 27-28 inch monitors. Any preference between those two, or perhaps a better suggestion? Any help would be appreciated. Hi, Jason! The Philips 436M6VBPAB is your best bet since it pretty much answers all your requirements. It’s got a DisplayHDR 1000 capable screen with excellent image quality, plus it’s also designed for console gaming. Frankly, it’s tough to beat spec and price-wise. The Samsung Q8 is a great option if you want something for a larger room, but we’re not sure how it performs for gaming applications. Sure, it’s got a larger screen, but knowledge suggests that it will be slower than most PC monitors. Hi, Eric! The best choice right now is the Philips 436M6VBPAB since its the only DisplayHDR1000 monitor that falls under a grand. It includes a screen that is capable of excellent imaging quality and gaming performance, plus its a 43-inch beast! Let us know how you like it! Hi, Shawn! 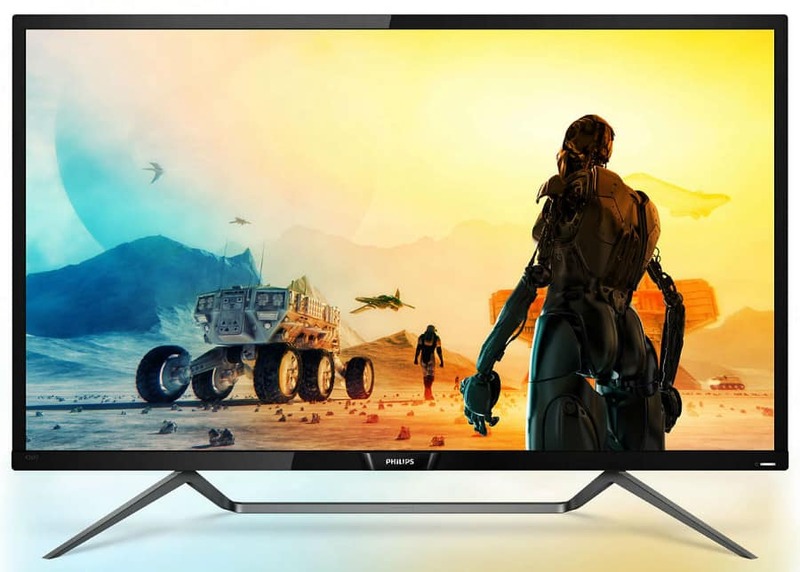 If you are looking to spend a grand on the best, Check out the Philips 436M6VBPAB which is a true HDR monitor that’s made for 4K HDR gaming on consoles. Let us know how you like it! Looking to buy a 4K monitor to use with my Xbox one x. The most I wanted to spend was $300. I was looking to buy the Dell 4K S2817Q 28″ Screen LCD Monitor. Is that a good option or is there a better choice out there. Hi, Christian! You are looking to spend a bit more if you want something better for gaming like the Asus MG28UQ. Hey! I,m looking for a 4K HDR Monitor for my Xbox One X (especially for FH4) with 32inch (or more if possible) . I think about the BenQ EW3270U. I just don´t get any smarter on the internet when it comes to to 4K HDR monitors. They have only 4K OR HDR. Hi, George! There are only a few options available, but true 4K HDR monitors are even fewer. Those equipped to show true HDR cost at an average of two grand. 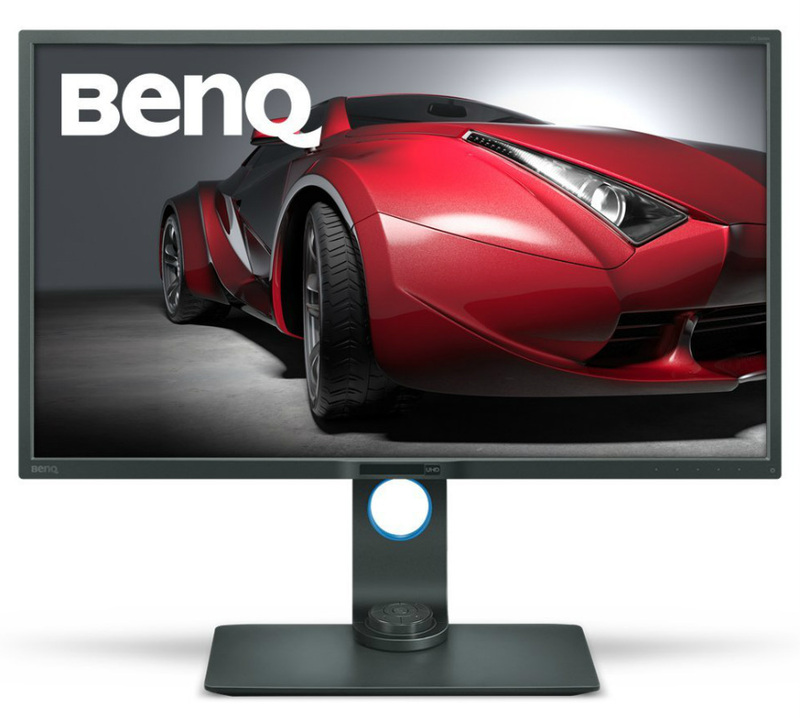 The BenQ EW3270U is a great monitor for gaming, but the LG 32UD99 is better. I have been debating upgrading from my 10 year old flat screen to a 4k monitor for gaming on my Xbox one x. I’m looking to spend around 400$. I’m sure that anything that I get will be night and day compared to my current TV, but I am just wondering what you would suggest are must have’s in terms of specs when searching for a monitor, for example, does Free sync really make a difference on the one X? And if so, or if not, what monitor would you recommend? HI, Matt! The Xbox One X is compatible with FreeSync, so you should get a certified monitor to go with it. 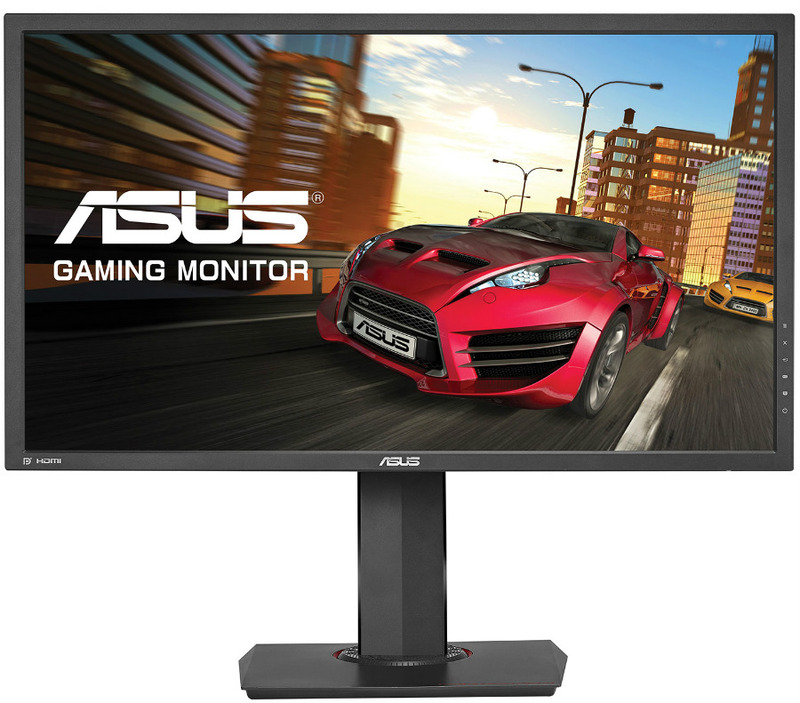 We recommend the Asus MG28UQ which is one of the fastest 4K gaming monitors out in the market. 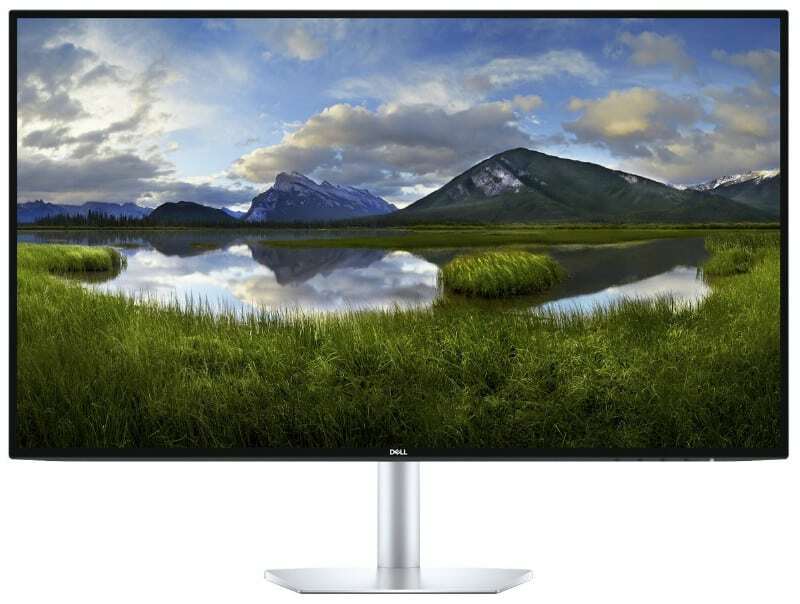 If you want something with better imaging quality, look around for deals on the LG 27UK650 with an IPS panel. Cheers! Thank you for your response! I am a fan of the Asus brand and was looking at the MG28uQ. In addition, I have also been looking at the ASUS VP28UQG and was wondering what your opinion was on this monitor compared to the MG.
Hi, Matt! The Asus MG28UQ and the VP28UQG are more or less the same, but we prefer the former since it has a better design. If the price difference isn’t an issue, the MG28UQ is the better pick. Cheers! can you plaese help me? Hi, Henriur! The best 4K monitor for the money right now is the LG 27Uk650. Let us know how you like it! Thank you, but is the LG 27UK850 better as its on sale rigth now for just a little bit more? Hey, Henriur! Performance-wise, the difference is negligible between the two. But if you can find the LG 27UK850 for a personally reasonable price, go ahead and get it. Future-proofing your setup with a USB-C monitor is always a good idea since more and more devices are adopting it in today’s market. Hi, Joey! We think you are good with the LG 32UD60B since wanting something better will surely cost more. HDR at this price range isn’t worth it as the main consideration for the purchase since most products only offer pseudo-HDR which are only emulated. Looking for a monitor for my Xbox one x, budget is 500-600. I mainly play FPS with a little forza for racing. Always have had hand me down TVs and want a quality monitor for a better gaming experience. Would appreciate some ideas of what to get, not very informative on all the tech info of monitors and what is preferred for an Xbox. Things like free -sync sound important or is it for console? Any input is much appreciated! Hi, Estevan! The LG 27UK650 is difficult to beat at this budget range. It’s got a fantastic IPS panel, FreeSync, and pseudo-HDR compatibility. Let us know how you like it! Hey, KevnFrom7Eleven! Unfortunately, there are no monitors with that kind of specs at this time. The 4K 144Hz panels available now are based on IPS, and there is no indication yet that we will see TN versions soon. Hi, Jordan! What’s your budget for the 4K monitor? Hi, Julian! Make sure you connect your Xbox One X to the 28UH750’s HDMI 2.0 slot. Cheers! Hi i have SAMSUNG 31.5″ LS32F351FUEXXY FHD PLS LED LCD, FREE-SYNC DSUB/HDMI, VESA, 60HZ 3Y.will it be able to suit the xbox one x or to upgrade? Hey, Grant! You can use the Samsung LS32F351FUEXXY with an Xbox One X, but it won’t be able to maximize the console’s capabilities. I am planning on getting the xbox x and am looking for the best monitor. I am indecisive wether to get a uhd with hdr or a wqhd with hdr? I am not a competitive player, I am more into the stories of the game. So which type of monitor should I get? Hello, Gabriel! May we know what’s your maximum budget so we could find the best monitor for you? Hello how do I get full 4K for XBOX one x? I have the Samsung UE 590 but Xbox is telling me won’t show games in 4K . Is there a monitor around $300 that can?? HI, Deven! Have you tried switching to the other HDMI slot? The Asus MG28UQ could be a perfect replacement. Hi, Brayden! 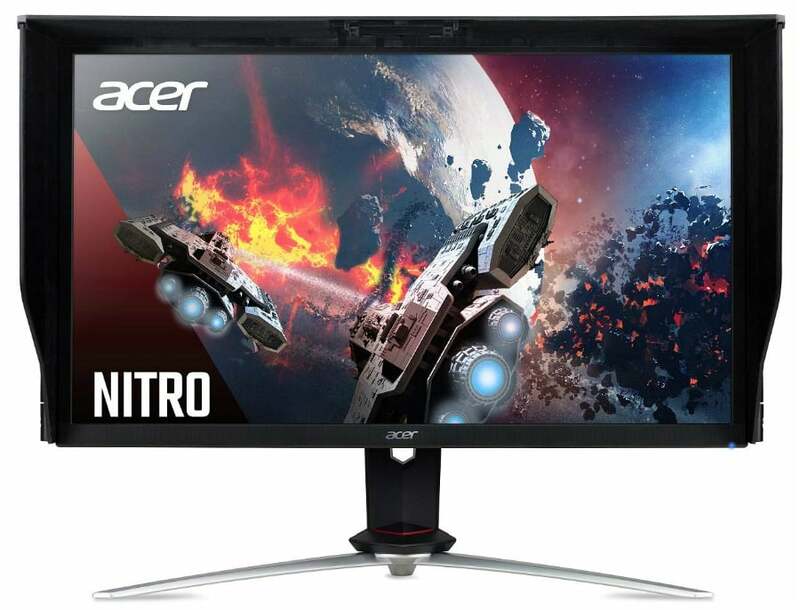 Check out the Acer ED273 which is the cheapest 27-inch 144Hz monitor that supports FreeSync over HDMI. For a list of other monitors, consult this guide. Good luck! Hello I have recently upgraded my xbox to the xbox one x. I have this monitor : Samsung U24E590 4K IPS Monitor. For all intent and purpose the monitor is great but theres a niggle that im limited to 1440p on the monitor via my HDMI port. I am wondering if there is a setting i have missed/not turned on that could allow me to game in 4K? Otherwise i think i will be investing in the first listed LG monitor if that would optimise things for me. Hello, Zac! Try switching to the other HDMI slot if you haven’t already since there is only one HDMI 2.0 connector on your monitor. On the Asus MG28UQ can I enable Freesync on my Xbox One X by using a 1.2 display port to HDMI adapter (amazon.com UPTab DisplayPort 1.2 to HDMI 2.0 Active Adapter [email protected])? Hey, Adam! 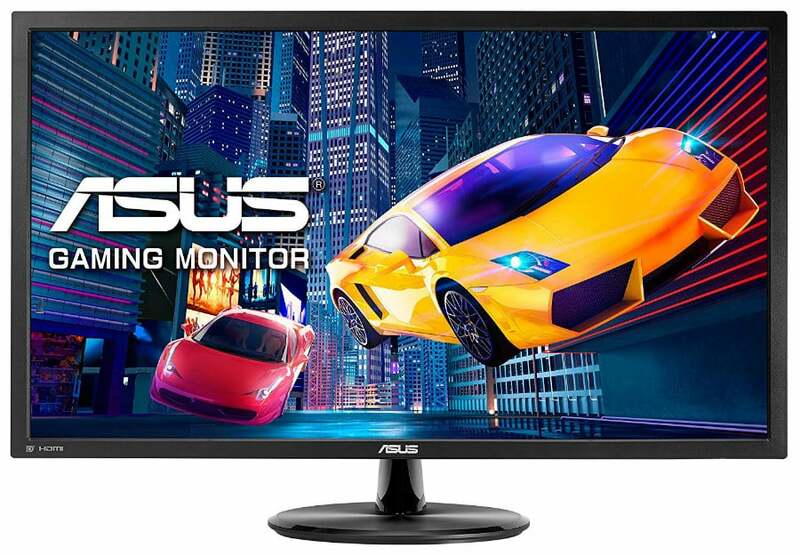 We didn’t get to test the Asus MG28UQ like that, but we would advise against it since the monitor will require a special firmware update to enable it. You’ll need to get a monitor that has FreeSync natively enabled on the HDMI port for it to function for your Xbox One X.
Hello, I am looking for a competitive gaming monitor for the Xbox One X. Price is not a consideration. I am looking for a gaming monitor no less than 28″ in size. 1ms response time. At least 60hz refresh rate. 4k (3840 x 2160) HDR w/ Freesync via HDMI. What monitor(s) do you suggest that meet this criteria? Thank you for your help! Hey, Freddy! Unfortunately, this mix of specs do not exist at this time. Most of the HDR monitors are IPS, so they all have 4ms pixel response times. The best monitor you could pair with your Xbox One X now is the LG 32UD99, although it doesn’t have true HDR like what you see on TVs in the market. Good luck! Which would be a better choice for the Xbox one x the Dell U2718Q or the Asus MG28UQ? Hey, Jason! The Dell U2718Q includes HDR emulation while the Asus MG28UQ is focused on responsiveness more than eye candy. Take which one has the characteristic you prioritize the most. Cheers! Hi there i have the xbox one x but im wanting to start pc gaming to so my question is could i get a gsync monitor to go with my gou but still use it for hdr xbox stuff and get same 4k quality as i get nownon my 4k tv ? Hello, Oskar! A 4K monitor would be a definite upgrade when you compare it to your TV since the tighter pixel density creates a crisper or sharper image. The problem is most G-Sync monitors only come with HDMI 1.4, so won’t be able to use your Xbox One X at 4K with it. You will be limited to 1440p at 60Hz. Really considering the Dell UP2718Q for my xbox one x and alienware 15 with amplifier holding a 1080ti. Is this monitor really worth the $1500 tag? What exactly am I losing/gaining by going with this 4k HDR compatible monitor versus the non-HDR 4k monitors (I didn’t get a good understanding from the post, probably because I’m stupid), and or just going with a small 32-40″ UHD 4k tv with HDR capabilities? Please help, looking to make my purchase soon. Hello, Harold! If you want the best HDR implementation in a PC monitor, the Dell UP2718Q is your best choice since it is the only model that includes a FALD (Full Array Local Dimming) backlight. If an HDR monitor does not include local dimming, then most probably its HDR implementation is merely a filter or a software-based emulation. Ok thanks. My last question is then, is HDR better than having any freesync or freesync like monitor capabilities? As far as those emulated models that I also looked at, they offered freesync capabilities which didn’t work simultaneously with HDR on. I couldn’t find anything on the Dell description page for the UP2718Q with regards to that or it’s gaming capacity (i.e. The acer predator had freesync options and preset modes for fps games). Hey, Harold! The Dell UP2718Q will activate its HDR features if it detects an HDR signal, so there should be no conflicts with its other features. In my honest opinion, HDR for PC gaming still has a long way to go so I can live without it for the time being, but I can never go back to a 60Hz monitor without FreeSync or G-Sync. Awesome, thank you for all the help! Going with the Dell monitor since I’ll be using it for both PC and primarily xbox one x for gaming. Hey, Dave! Yes, the AOC AG271QX is an excellent gaming monitor for your PC and Xbox One X. Just make sure that you enable 1440p support in your console. Cheers! Well my budget is $300. What do you guys recommend ? Hello, Eltranza! You might want to check out the Acer KG281K which usually drops to around $300 bucks on Amazon. Happy hunting! 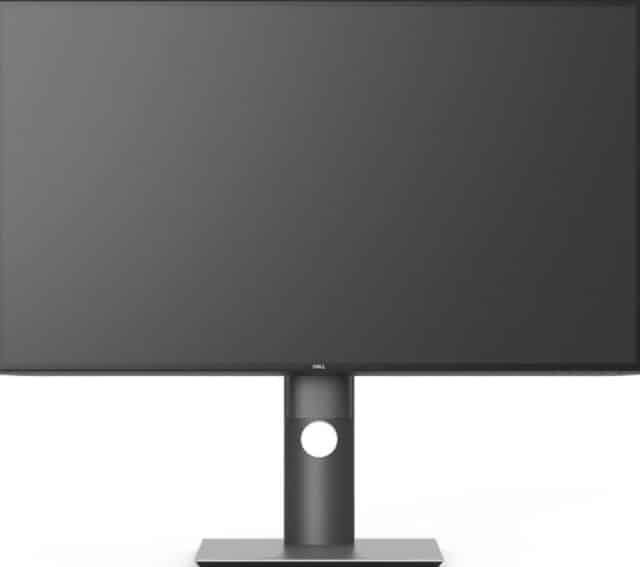 I was thinking about buying the upcoming Asus PQ22UC OLED monitor as it’s only going to be around $700 – $1000 for how amazing it sounds, but will my xbox even be combatible with it? Will my xbox be able to take advantage of all capabilities of the monitor. I do realize the monitor only has a mini hdmi and usbc port. Idk much, but will I be able to use an adapter and if I can will that hinder in any way? Should I ask Xbox support? Hey, Arnold! The Asus PQ22UC’s specs aren’t final yet, but we can assume that its HDMI slot will be one of the latest versions that will allow a 4K HDR signal to go through. Your Xbox One X should be fully compatible, provided you can find a high-quality adapter with the same version as the connector on the PQ22UC. Let’s cross our fingers that there will be no issues with this setup once the monitor becomes available to all of us. I’m looking to buy a 24 to 28 inch 4k monitor for xb1x up to £500. Is there a monitor that’s considered the best in terms of picture quality for displaying both 4k and non 4k content. I’m not too fussed about having the lowest response times or other feathers such as speakers or stand quality. Hello, Steve! We cannot guarantee that a 4K monitor will display lower resolution content properly because there will always be scaling issues. The best and reasonably priced 4K monitor we could recommend would be the LG 27UD68P for its excellent color qualities and clarity. Let us know how you like it! Hey, Peter! 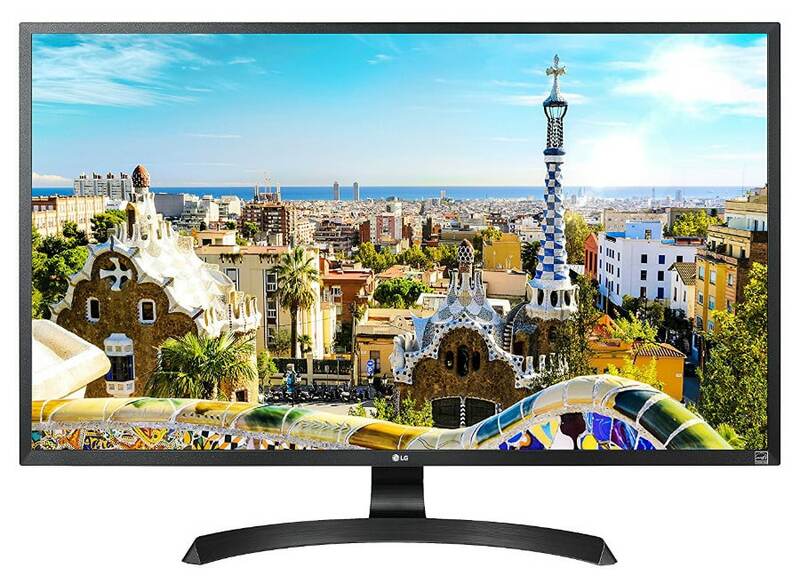 The best HDR 4K monitors we could recommend that fits your budget is the LG 27UK650-W. Take note that HDR monitors in this price range only use emulated or software based overlays. 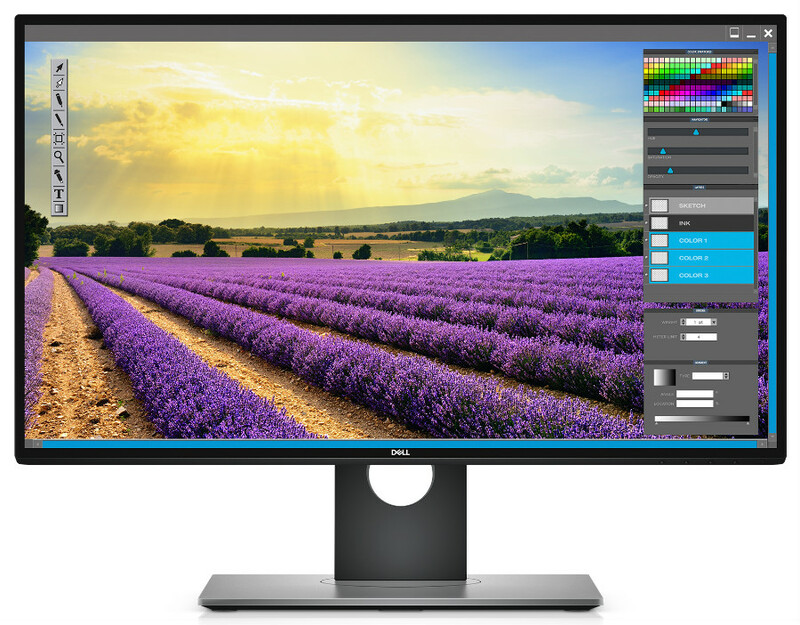 The true HDR monitors such as the Dell UP2718Q will cost you well over a grand. Good luck! There’s something up with the ViewSonic XG2700-4K. When I try to switch it to 4k, my XB1X says that it doesn’t support 4k at 60 Hz whereas the specs on the ViewSonic site clearly state that it does. I’ve tried switching the color depth to all three options on the Xbox but it doesn’t make a difference. I need to plug it into my PC and do a little more research but right now it seems like there’s a problem with how the monitor is reporting its capabilities. I’m hoping a firmware update will fix it. Hey, Frank! We’re sorry to hear that. Did you report it to ViewSonic’s customer service? You can also try to use a higher quality HDMI cable which might solve your predicament. Let us know how it goes, and good luck! Ugh. It was the the stupid “Only input #1 can do that!” problem. Moved it to the HDMI1 input and the XB1X defaulted to 4K at boot up. We’re glad you resolved your issue, Frank! Hello, Keith! Unfortunately, the Samsung 28UE590D does not support HDR at all, so adding adapters won’t activate the feature. Hello Tyler, if you ask us, 4K visuals will provide a better gaming experience over limited HDR compatibility. 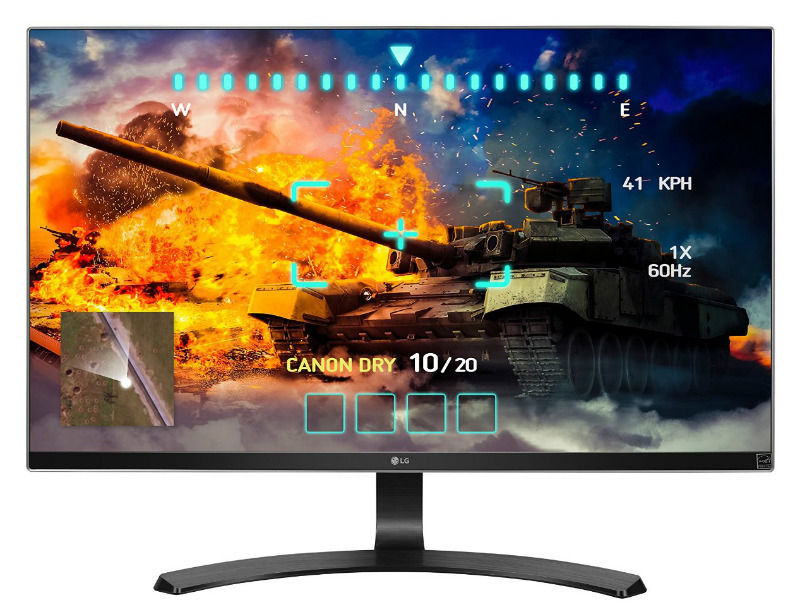 Would the LG 27UK850-W 27″ 4K UHD IPS Monitor with HDR10 with USB Type-C Connectivity and FreeSync (2018) be good for the Xbox one X? And would I get the full potential out of th Xbox on x with this monitor? Hello, Chance! The LG 27UK850-W specs are certainly enticing for Xbox One X users, but we cannot say for sure that it can bring out the full potential of the HDR console. Yes, it will be able to play games at 4K, but the level of HDR representation is still unknown until we get to test and review this model. Does the ViewSonic XG2700-4K have HDR compatibility and does this have a HDMI port for 2.0? This question is for my Xbox one x.
Hi, Chance! Unfortunately, the ViewSonic XG2700-4K does not have HDR compatibility, although it can connect to your Xbox One X and play games at 4K via its HDMI 2.0 connector. I’d been researching monitors for my xbox one x for a week before I discovered this article and I had already decided on the LG 43UD79-B. Just before I went to purchase the LG I discovered it has 8ms response time, grey to grey. Although I have no idea of the overshoot percentage, it alarmed me that 8ms is high, even for an IPS panel. Although I am aware that 4ms with a 60% overshoot is far worse than 15ms with 5% overshoot… so milliseconds quoted in specifications can be misleading! I guess it is more about the general performance. Do you have any input as to whether this Lg model at 8ms would create any ghosting/artifact that would ruin fps and/or fast action gaming? I guess I am looking for someone who knows what they are talking about, who has physically used this monitor and can give me an opinion! Hello, Dave! While the LG 43UD79-B is fine for most gaming situations, extra sensitive people might need to look elsewhere. Personally, its very difficult to notice any blurring that could ruin gaming, but in practice, your experience could be different. Is the ASUS MG28UQ free sync through HDMI or port ? Great info and enthusiasm in your reviews. Hello, Phillip! Unfortunately, the Asus MG28UQ only supports FreeSync via DisplayPort 1.2. Cheers! Will the LG 27UD59-B work with the xbox one x? Hey, Nichole! The LG 217UD59-B should work fine with the Xbox One X as it is equipped with an HDCP 2.2 compatible HDMI 2.0 port. Enjoy! Has anyone tried a LG 32UD99-W yet? I am very interested if that 32″ stacks up with the HDR-10. Thanks. Just got a $500 amazing gift card. Looking for a great fps monitor for the Xbox one x 27′ monitor with 4 K options. Any updates on this? Hello, Wilder! These are the current best bets out there that can pair with your Xbox One X. If you are looking for something with HDR compatibility that is a bit more affordable, you may have to wait further for newer releases. Good luck! i wish we could get a good review of the monoprice 27″ 4k hdr ips monitor with freesync that sells for $249 right now. Same, I’m having trouble deciding between the Dell U2718Q and the Monoprice. You can’t beat the Monoprice but maybe there’s a reason.